NOWS is a series introducing new works, sharing ideas and testing unrealized projects. It features experiments that don’t necessarily have a place and a public yet. NOWS is an ongoing project, initiated by the Institut für Raumexperimente and is co-hosted by Studio Olafur Eliasson via both institution’s websites and social media platforms. 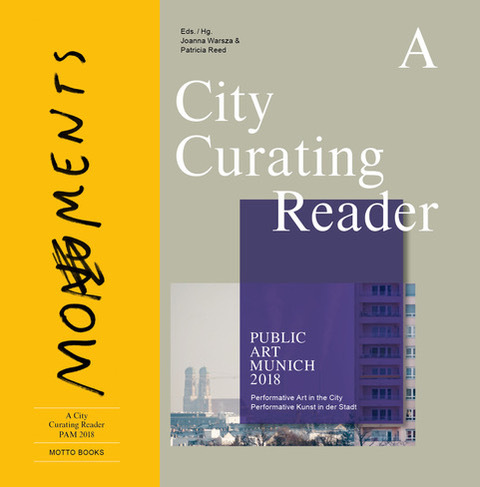 It expands the Institut’s activities and aims to offer selected updates while cultivating the dialogue between artists associated with the Institut für Raumexperimente and a wider audience. NOWS is a series introducing new works, sharing ideas and testing unrealized projects. It features experiments that don’t necessarily have a place and a public yet. NOWS is an ongoing project, initiated by the Institut für Raumexperimente and is co-hosted by Studio Olafur Eliasson via both institution’s websites and social media platforms. It expands the Institut’s activities and aims to offer selected updates while cultivating the dialogue between artists associated with the Institut für Raumexperimente and a wider audience. Raster.Labor at CTM FestivalWith works by: Byetone + Mieko Suzuki, Dasha Rush, Frank Bretschneider, Grischa Lichtenberger, Robert Lippok nGbK Oranienstr. 25 10999 Berlin-Kreuzberg Opening 25 January 2019, 18:00 Runs 26 January – 3 February 2019, 12:00 – 22:00 With the premiere of Labor, CTM and seminal electronic imprint Raster celebrate a collaboration almost as old as the festival itself. Byetone + Mieko Suzuki, Dasha Rush, Frank Bretschneider, Grischa Lichtenberger, and Robert Lippok will take part in the inaugural edition of the piece, utilizing sparse hardware setups to craft perpetual, regenerating compositions. Active since 1996, Raster is the influential German label that has released music from Ryoji Ikeda, Kyoka, Atom ™, William Basinski, Kangding Ray, and Belief Defect, among others. Conceived by Olaf Bender, David Letellier, and Frank Bretschneider, Labor is created in close collaboration with Raster artists. With Labor, Raster explore artistic processes, and how they diverge and develop from the same starting point or set of conditions. Five tables with minimal Eurorack setups and a handful of studio monitors form the basis of the piece. The analogue hardware generates and manipulates control voltages, forming a framework in which the artists can complete, connect, and interact with the modules. As the setup does not contain any sound producing components, participating artists will select sound sources themselves, which could range from minuscule to gargantuan sonic objects. They may choose to mechanically generate sound, or to integrate microphones and amplify sound. Generative composition, whether through regulating sonic events or strategic compositional decisions, has been a key part of electronic music’s history. Labor references both academic and DIY histories of analogue synthesis, exploring open and dynamic fields of hardware experimentation. The intention of the setup is to enable interested audience members to directly observe cause and effect, so digital software will be avoided. Berlin’s neue Gesellschaft für bildende Kunst (nGbK) will host the inaugural iteration of the piece. Active since 1969, nGbK is one of Germany’s foremost art societies – they are invested in exhibitions, artistic interventions, research projects, interdisciplinary projects, publications, and more. nGbK is built on a unique structure that allows members to be directly involved in its activities; they understand art as a form of action that directly impacts social processes. Raster.Labor at CTM FestivalWith works by: Byetone + Mieko Suzuki, Dasha Rush, Frank Bretschneider, Grischa Lichtenberger, Robert Lippok nGbK Oranienstr. 25 10999 Berlin-Kreuzberg Opening 25 January 2019, 18:00 Runs 26 January – 3 February 2019, 12:00 – 22:00 With the premiere of Labor, CTM and seminal electronic imprint Raster celebrate a collaboration almost as old as the festival itself. 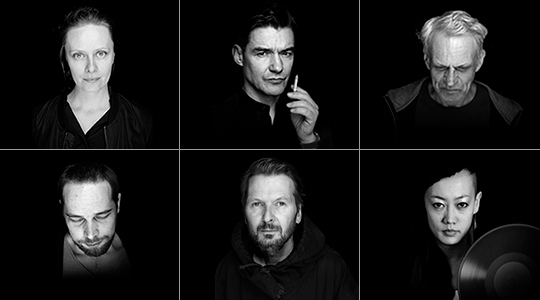 Byetone + Mieko Suzuki, Dasha Rush, Frank Bretschneider, Grischa Lichtenberger, and Robert Lippok will take part in the inaugural edition of the piece, utilizing sparse hardware setups to craft perpetual, regenerating compositions. Active since 1996, Raster is the influential German label that has released music from Ryoji Ikeda, Kyoka, Atom ™, William Basinski, Kangding Ray, and Belief Defect, among others. Conceived by Olaf Bender, David Letellier, and Frank Bretschneider, Labor is created in close collaboration with Raster artists. With Labor, Raster explore artistic processes, and how they diverge and develop from the same starting point or set of conditions. Five tables with minimal Eurorack setups and a handful of studio monitors form the basis of the piece. The analogue hardware generates and manipulates control voltages, forming a framework in which the artists can complete, connect, and interact with the modules. As the setup does not contain any sound producing components, participating artists will select sound sources themselves, which could range from minuscule to gargantuan sonic objects. They may choose to mechanically generate sound, or to integrate microphones and amplify sound. Generative composition, whether through regulating sonic events or strategic compositional decisions, has been a key part of electronic music’s history. Labor references both academic and DIY histories of analogue synthesis, exploring open and dynamic fields of hardware experimentation. The intention of the setup is to enable interested audience members to directly observe cause and effect, so digital software will be avoided. Berlin’s neue Gesellschaft für bildende Kunst (nGbK) will host the inaugural iteration of the piece. Active since 1969, nGbK is one of Germany’s foremost art societies – they are invested in exhibitions, artistic interventions, research projects, interdisciplinary projects, publications, and more. nGbK is built on a unique structure that allows members to be directly involved in its activities; they understand art as a form of action that directly impacts social processes.